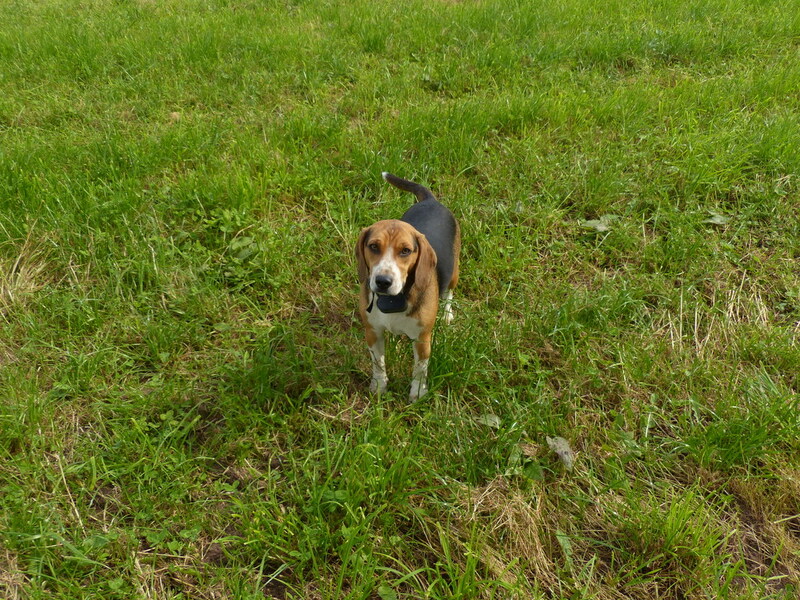 Buddy escaped from the farm. 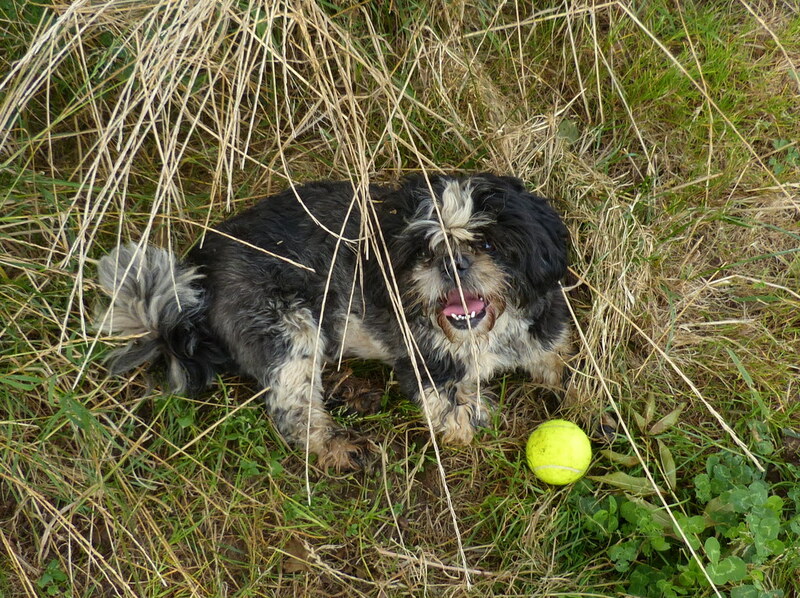 By the time he caught up with us I had come too far to want to take him home. I was here to set a Badger camera up. 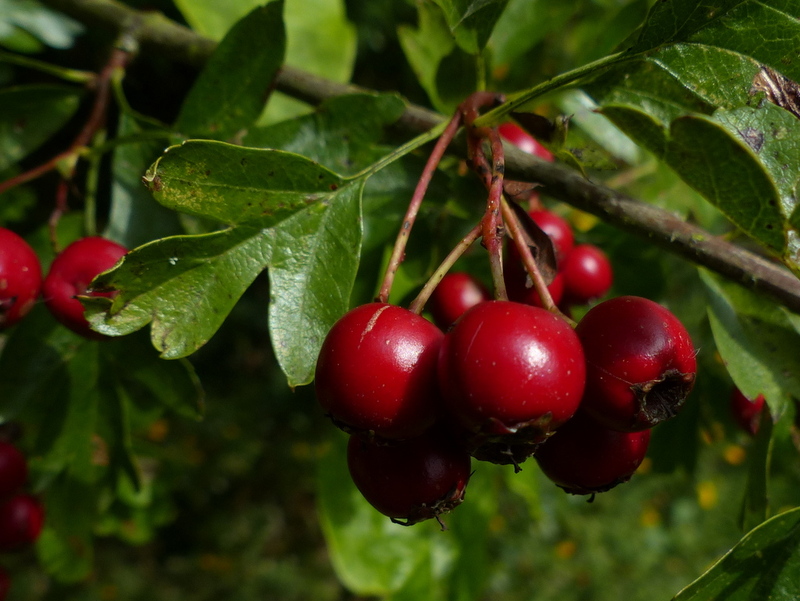 I think that they have moved into fields East of the farm but they should still forage here. 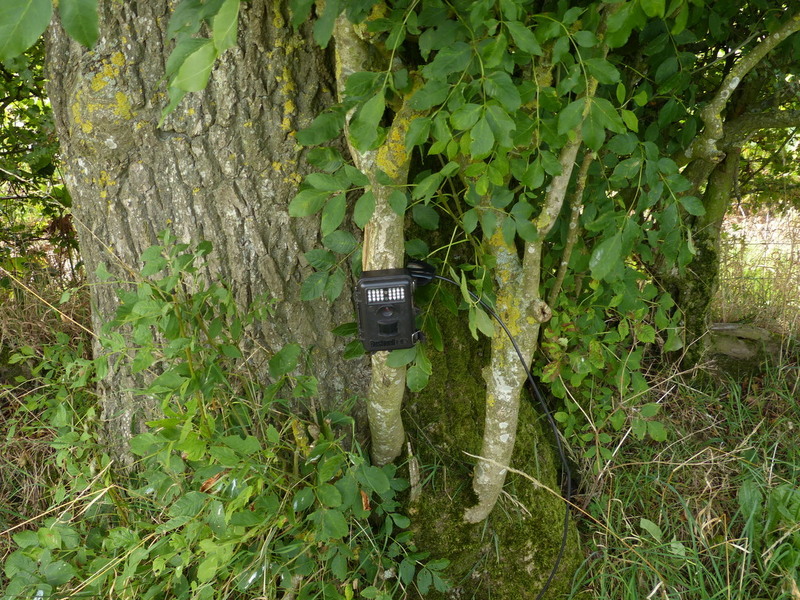 I have found a nice tree on the East side and tied a camera to it and hope to have some results soon. My Badgers have escaped the cull. It is not happening here. They started killing animals last Tuesday. They killed 921 Badgers last year and they have gone back to kill some more this year. The people who live there will probably never see another Badger. If I lived there then I think that I would just move. Nature has been destroyed. 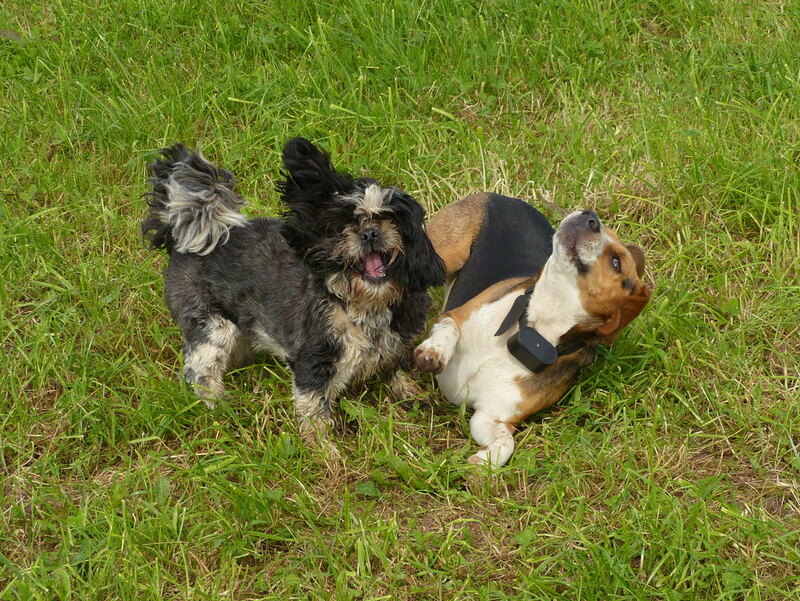 The Dogs messed about while I did all the hard work setting the camera up. This is another escapee. This one has escaped from a garden. 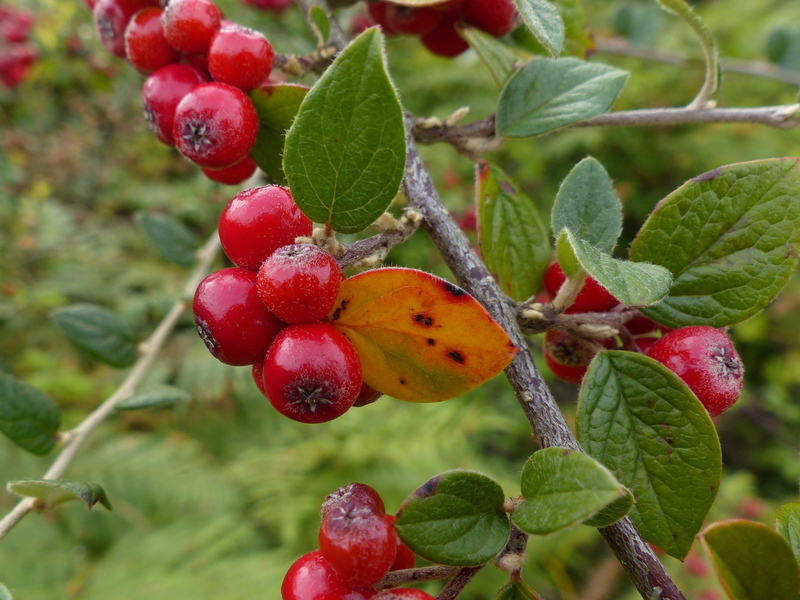 It is a Cotoneaster but I have no idea what species. 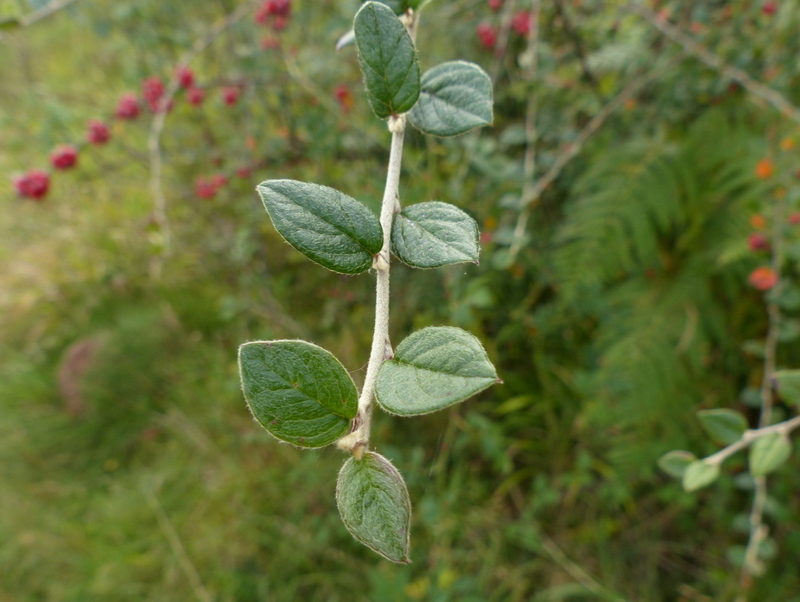 It isn’t native to the UK but several moths use Cotoneaster as a larval food plant and birds eat the berries. 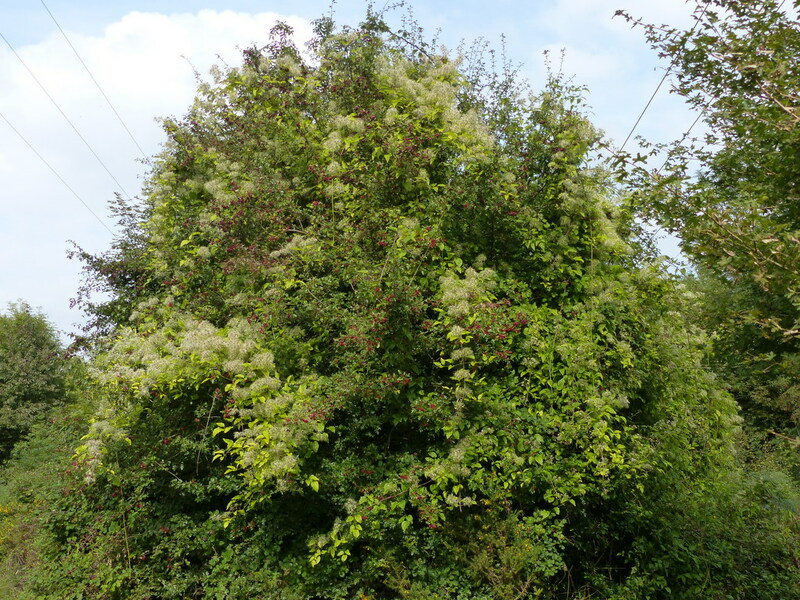 It is also a good source of nectar when it flowers. 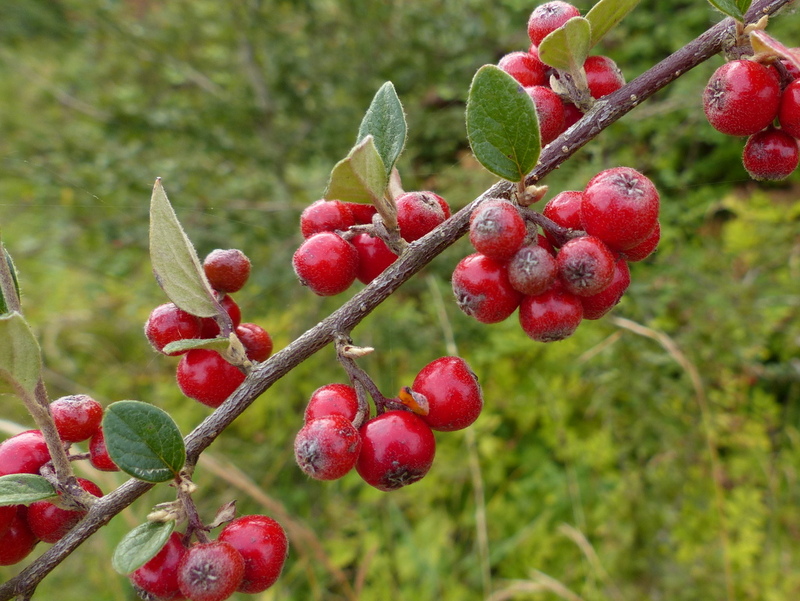 There is only one Cotoneaster species native to the UK and this isn’t it. 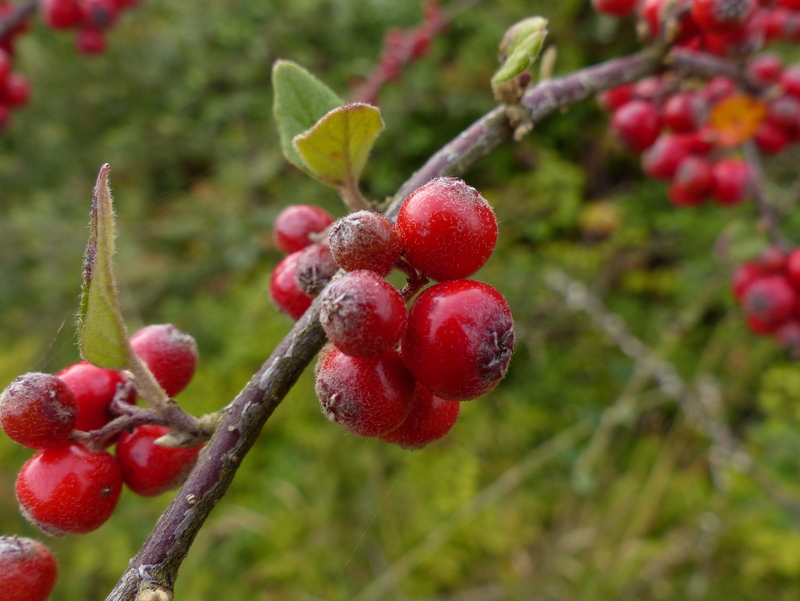 Called Cotoneaster cambricus, Wild Cotoneaster is restricted to a very small area of Wales and there are only six plants left. There is a species action plan and people are keeping a close eye on these last few plants which don’t seem able to naturally regenerate. 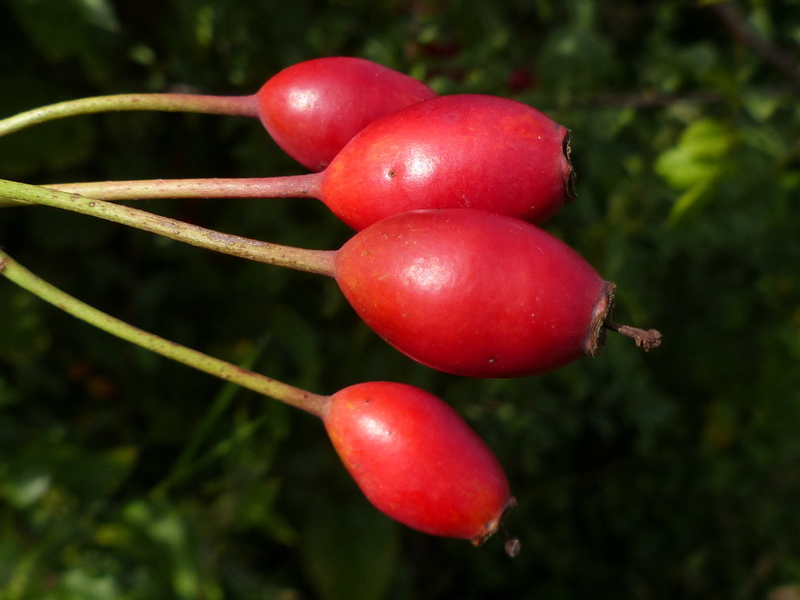 More red berries and these are Rose Hips. She has gone and taken her family. She left on Wednesday only days after Chicklet took his first flight. She has escaped our winter for African sun. Other bird song is filling the evening air now. 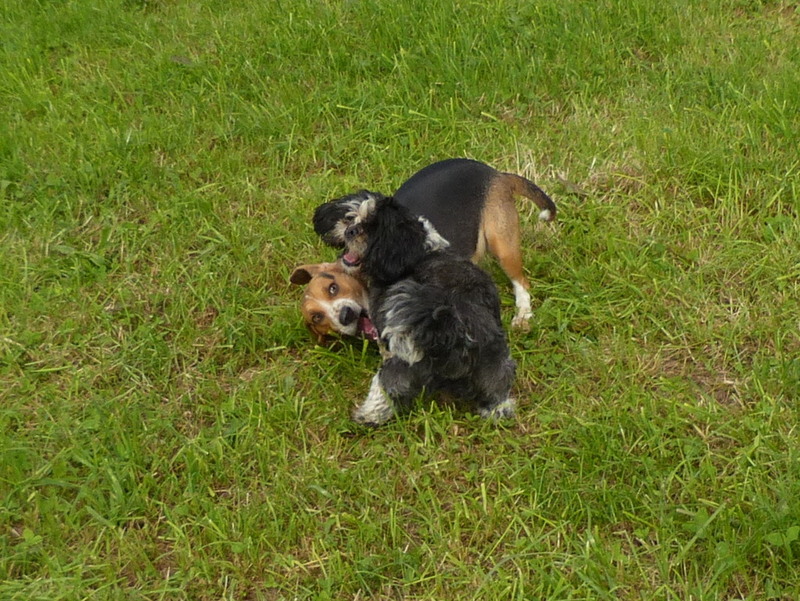 They will be back to do their courting all over again. I will look forward to their return. They are great characters. Someone else who escaped this week, the House Martins have also gone. 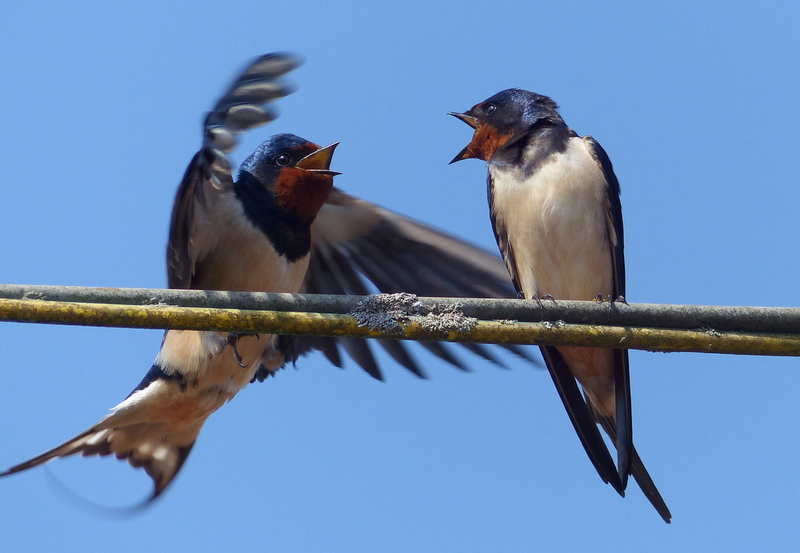 I was reading about House Martin migration just recently and amazingly nobody knows where they go in the winter. We know that they go to Africa but not where in Africa, they just get lost. The BTO are fitting birds with little devices that measure the amount of daylight, they can determine where they have been from this and hope to solve the mystery. 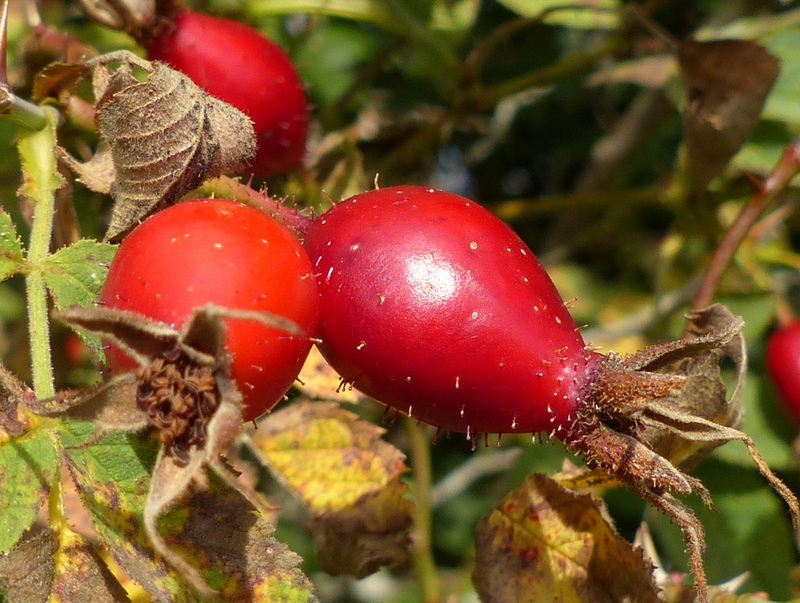 That smooth beardless hip above is from a Dog Rose, this next one is something different. Roses are very difficult if not impossible to identify in the field. 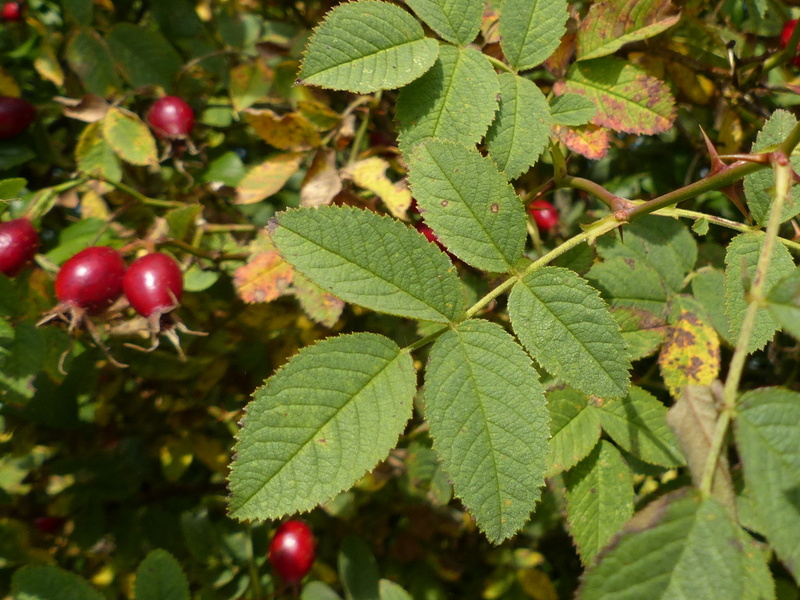 There are twenty different species of Wild Rose in the UK and they hybridise easily, so you can’t tell what sort of a Rose it is any more. Well that is what I am told. It all depends on how accurate you want to be. 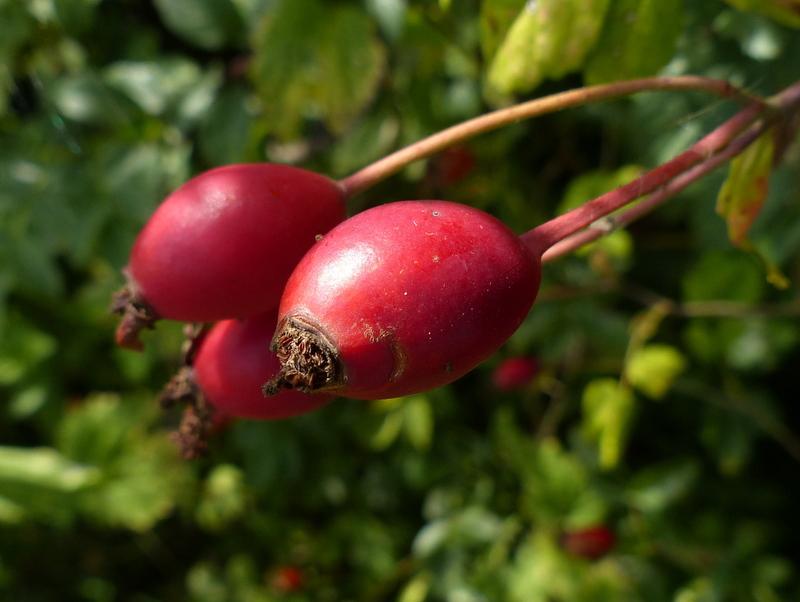 Ten of those twenty Roses are sub species of the Dog Rose and you can’t easily tell them apart. 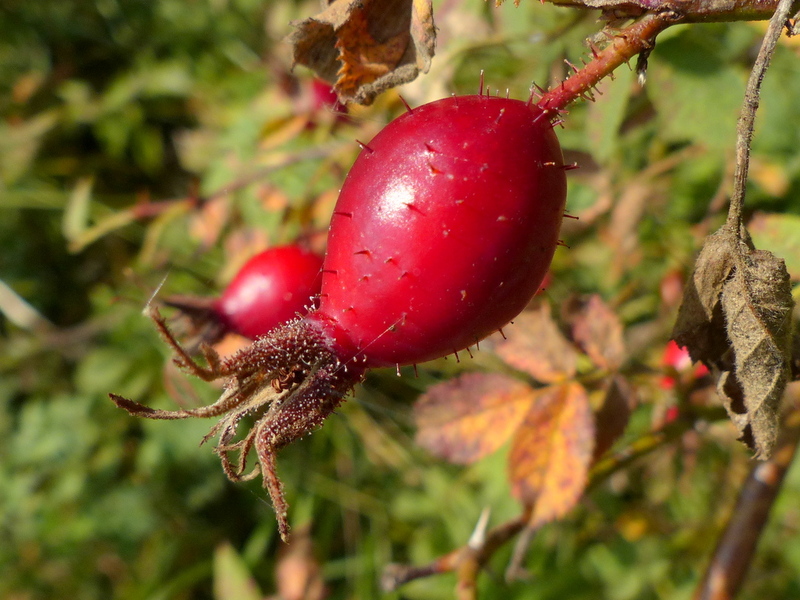 Okay but as far as I am concerned this is a Dog Rose and that is good enough. This is a Field Rose. Most of the others are rare and I am not going to worry about them unless I am lucky enough to find one. 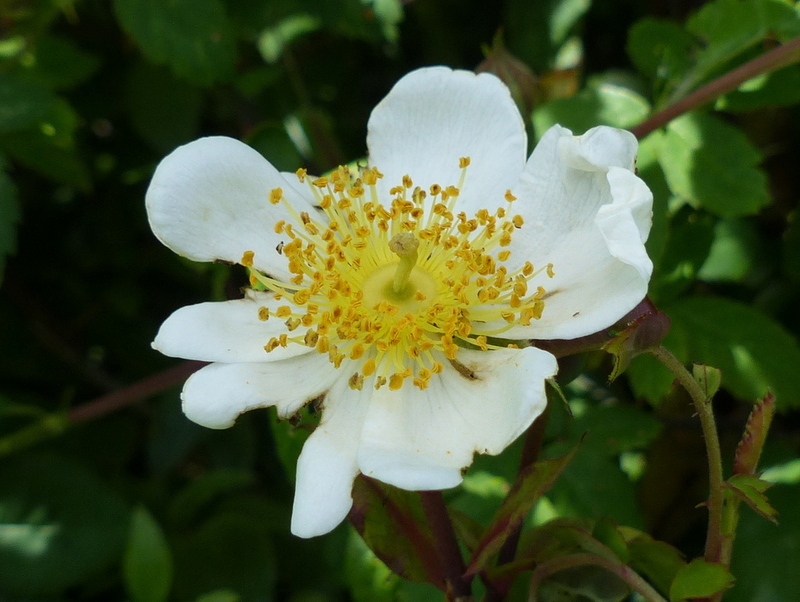 There is a common white rose called the Burnet Rose but that grows by the coast and I am not expecting to find it here, it has black hips. 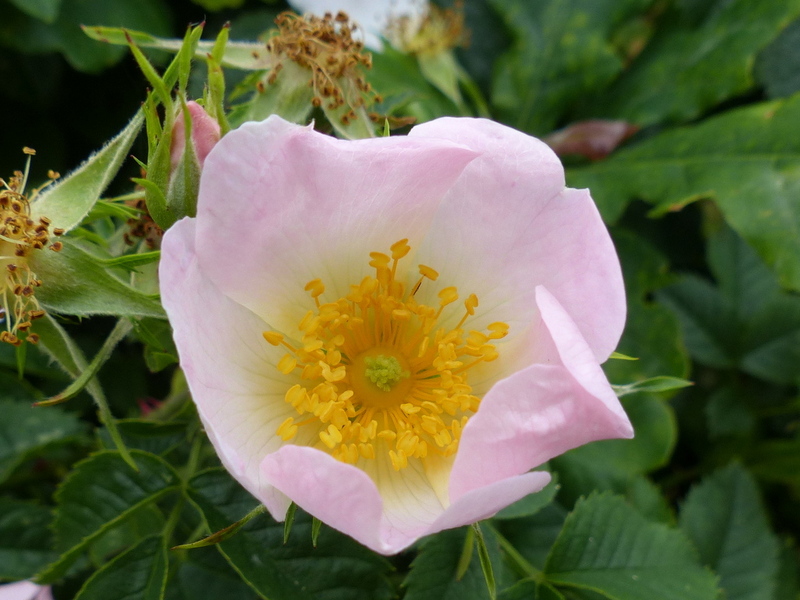 There is one other very common Rose that I should find here and that is the Sweet Briar Rose. 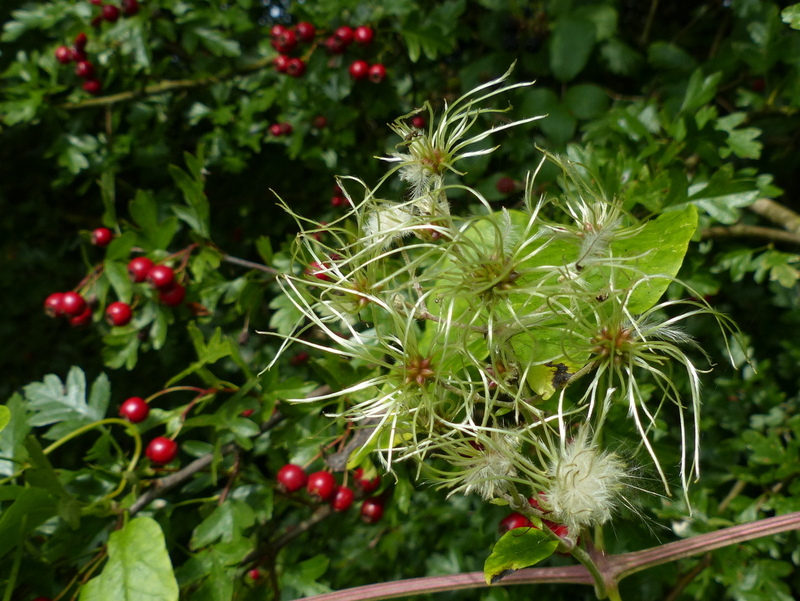 It has a pink flower with a pale white centre and it has bristly hips. I am hoping this is it. 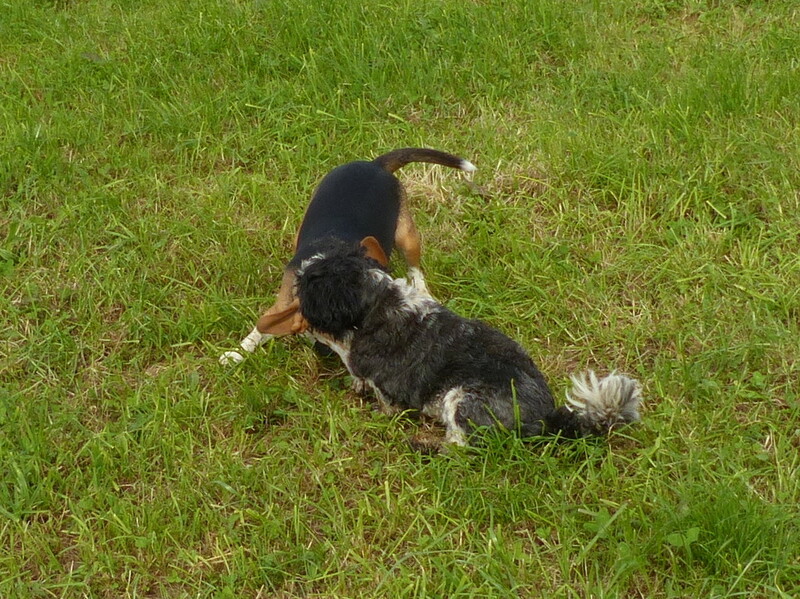 It is in the same field as the other two species but on the opposite side. I didn’t notice any Roses over there in the summer or maybe just didn’t look closely enough but this is one to have a proper look at next year. 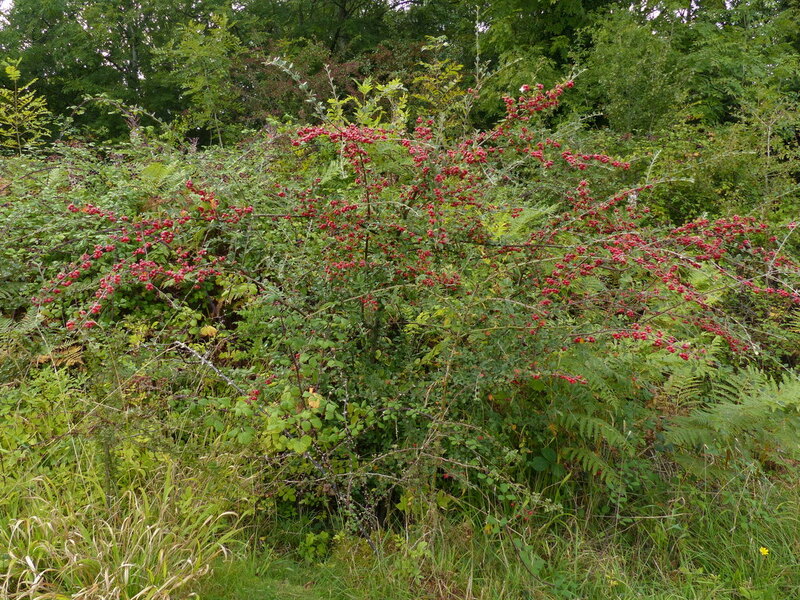 I am going to finish up now with some more red berries. 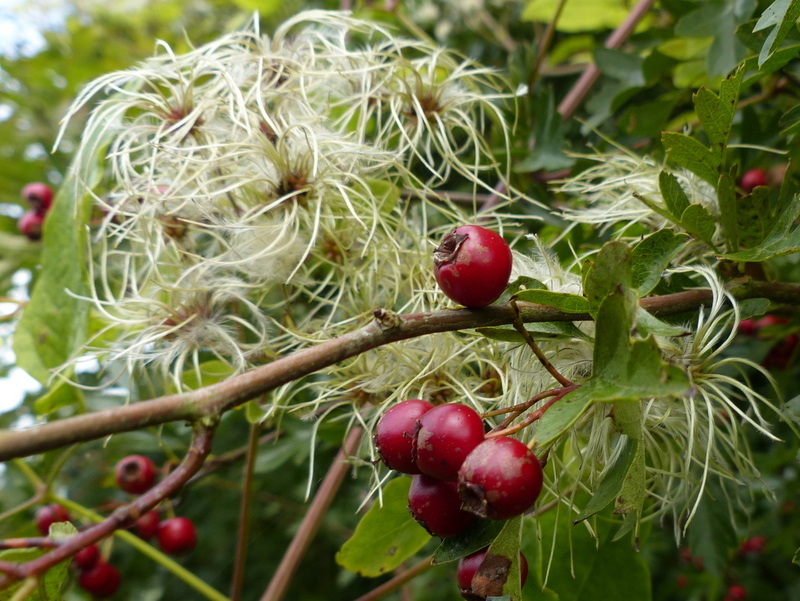 Just before we got back home I found this Hawthorn festooned with Old Man’s Beard and I had to photograph it. That’s enough escaping for one night. I need to compliment you again on your amazing photography. I was totally shocked when you said 921 Badgers had been culled! Surely these wonderful little wild creatures deserve to live on this earth as much as us. I mean to say, are they destroying farmland or other human habitats or something? And as usual, I learn another thing on your blog today. 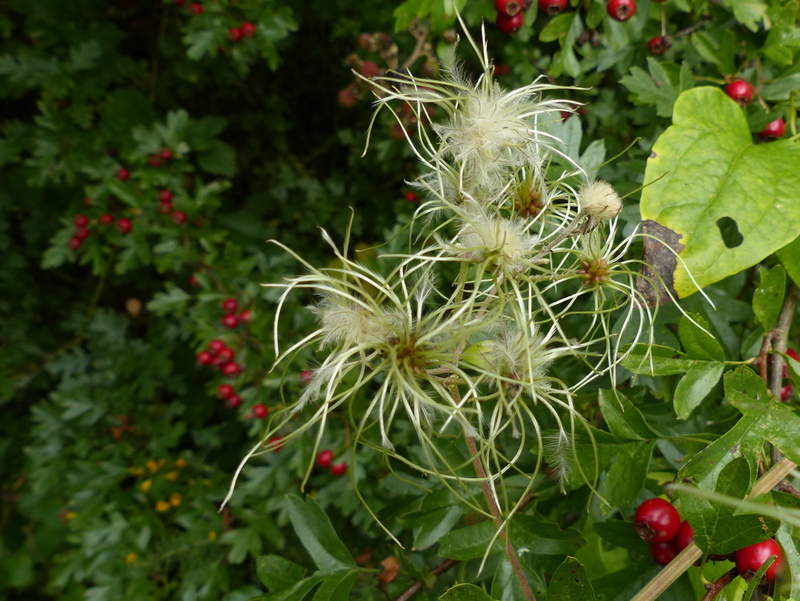 I’ve got some old photos of…….Old man’s Beard and had no idea what it was called. Its been sitting in my ‘unidentified’ folder for a very long time. 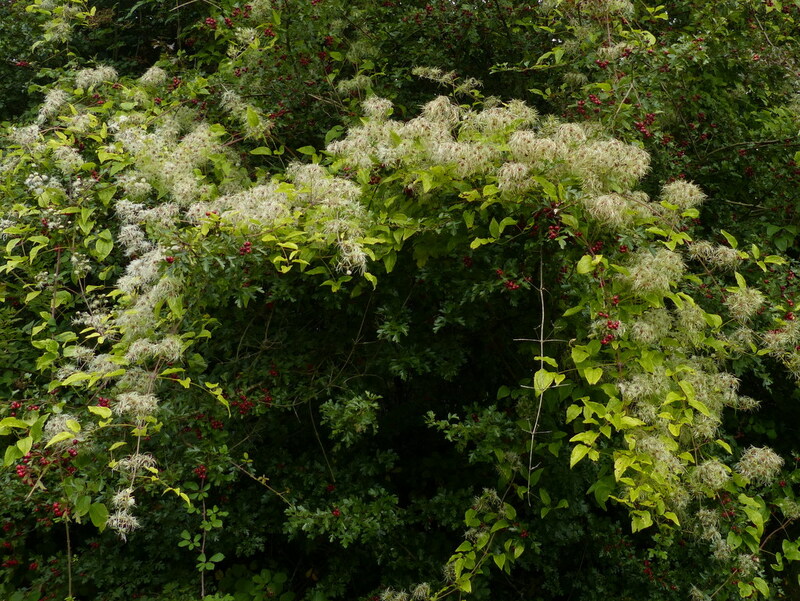 Just looked it up on Wikipedia to get the botanical name – Clematis vitalba. Thankyou again for sharing your wonderful knowledge of plants (and plants). 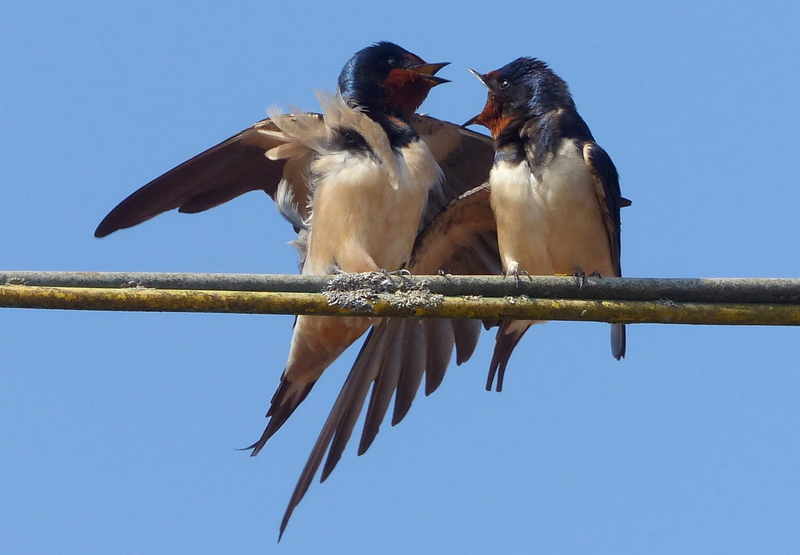 Sad about the badgers, but happy the late blooming swallow left the nest. 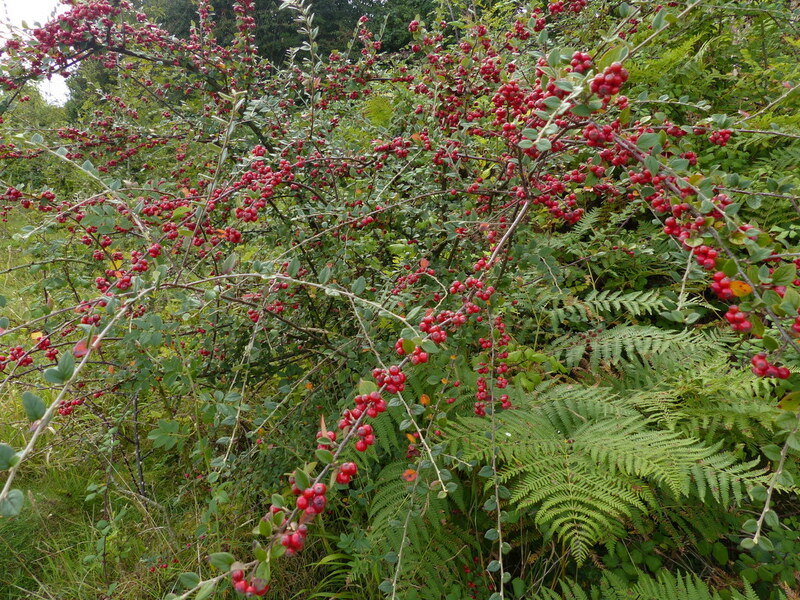 Gorgeous berry photos. Thanks! I don’t think animal protection people here would allow a cull of wombats or koalas. But Flying foxes and sometimes kangaroos would go. And of course introduced species such as foxes, rabbits and feral cats are always targetted. 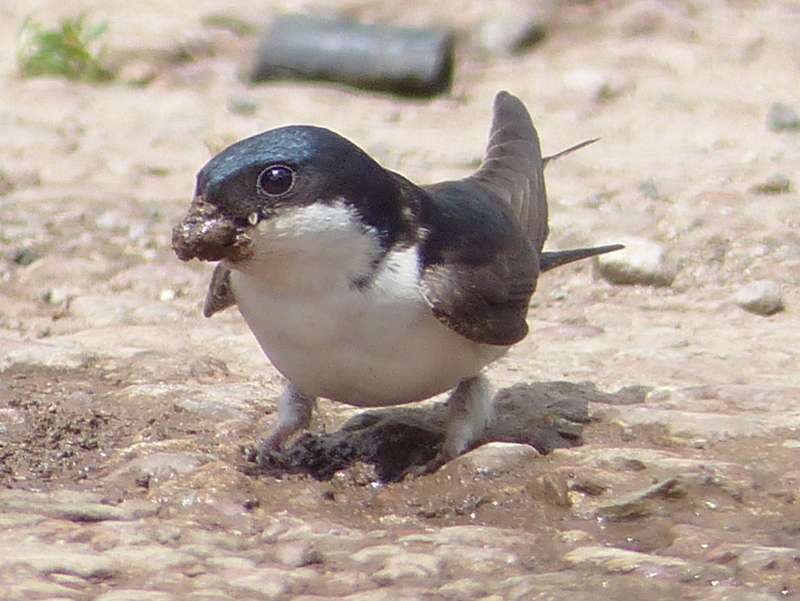 Love that photo of the House Martin. 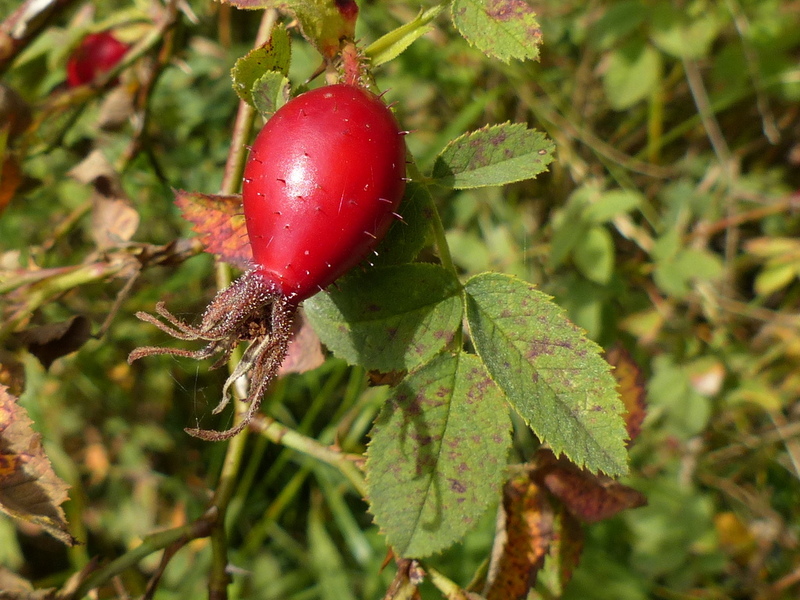 Oh, those wild roses are lovely! 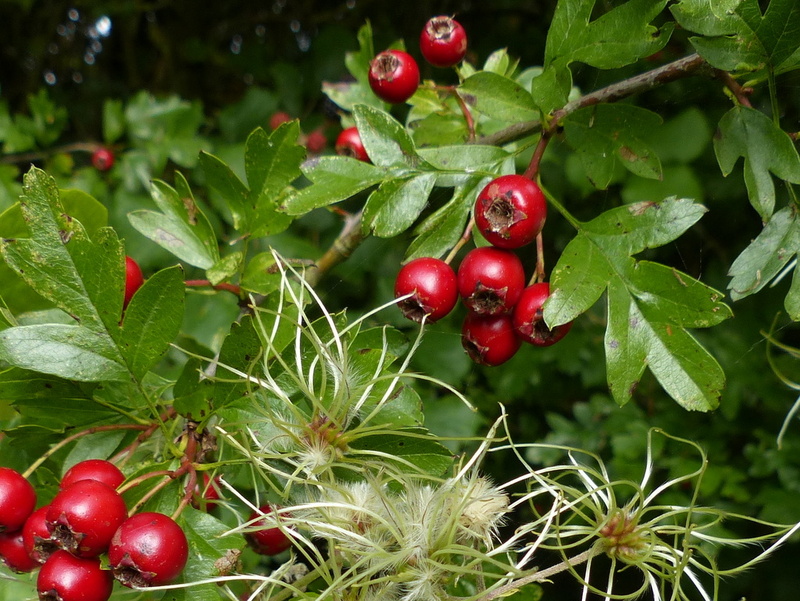 I’ve long thought that roses were an overrated flower, but I think I’ve been under-appreciating wild roses.